Love is a beautiful thing. It can make you feel like you’re floating on clouds when your feet are planted squarely on the pavement. Love can make so many butterflies in your stomach that you think you swallowed an entire colony of flittering beauties. It will also convince you that the person you love will be your partner forever. Sadly, Ciara and Russell Wilson have been bitten by the love bug and, if their decision not to sign a prenuptial agreement is any indication, they have forgotten that marriage is just as much about business as it is about love. I think Ciara and Russell are a beautiful couple. I am immensely happy for both of them regarding their recent engagement (as much as anyone who doesn’t know them can possibly be). However, recent news that Wilson will not ask Ciara to sign a prenup has me feeling some type of way. Most of all, it has me wondering how their financial advisers still have jobs. But, I have a few other concerns as well. First, I understand that the two never plan on getting divorced. I empathize with the sentiment and, as someone who is coming up on a decade of marriage, I too hope that my partner and I remain married for the rest of our lives. The problem I have with the positioning of prenuptial agreements and divorces as diametric opposites to love is that this framing of the institution of marriage suggests that one can forecast all potential outcomes of their relationship. The fact is: you just don’t know what is going to happen. The best thing to do is to prepare one’s self, cover all the bases, make practical decisions leading up to the marriage, and then work on building a solid relationship with the person you love. This decision naively assumes that Ciara and Russell have all the answers. They simply don’t. Second, both Ciara and Russell Wilson have (unconfirmed) net worth around $15 million each. This means they are coming into the relationship with their own assets. Most people know that finances are an integral part of marriage and can sometimes be the reason that people break up. With this many millions of dollars between them, Ciara and Russell are risking a lot of turmoil and potential conflict in their marriage that love probably won’t mitigate. And, as their love waxes and wanes – as it does in most marriages – they won’t have the security of knowing that their assets are protected if things go south. I figure this will put more stress on the marriage, and it is completely preventable. 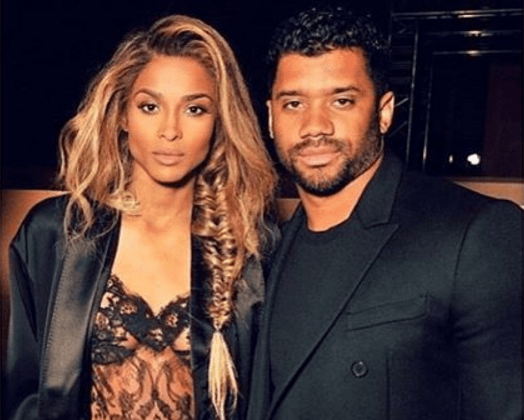 Third, the language around the news about the prenuptial has suggested that Russell Wilson chose not to ask Ciara for a prenup rather than it being a joint decision. Whether this is true or not, this narrative suggests that Ciara’s team has not informed her or convinced her that a prenuptial agreement is a legal document which protects her from a host of unforeseen risks. I’m surprised she isn’t asking him for a prenup given that she has the potential to have a much longer and more lucrative career in entertainment than he does in professional football. But, the larger issue I have is that media has turned this into a conversation about Russell Wilson’s intentions not to sign a prenup as if Ciara has no say at all. If, in fact this is the case, Ciara is heading into a patriarchal institution with her eyes wide shut. Last, I am concerned about how this very public decision contributes to the lack of financial literacy in young people of color. I know that seems like a stretch, but far too many people of color lack the financial know-how to manage their assets on their own. While this definitely comes from structural causes, it is also perpetuated by a culture which minimizes the importance of “pieces of paper” like prenups and degrees from top tier universities. Just like not all degrees carry the same weight, not all marriages are destined to last forever. And, the more we promote human emotion over sound financial knowledge and preparedness, the more we encourage others that fairytales are real. They’re not. Time to come back down to earth. In the end, I hope Ciara and Russell Wilson actually do sign a prenup. They have a whole lot to lose (and so does baby Future) if they don’t. Regardless, I will be cheering them on.